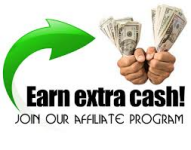 The Network University offers its registered member affiliates the opportunity to make money with us,by introducing its services, the radio program the warehouse program and the website complete and as seperate programs. The Network University radio show is streamed live over the internet and now you can sponsor a show with your professionally produced commercial played during your program. The price is amazingly discounted for our members at $129.95 per show. 50/50 plan affiliate commission- $19.90 paid monthly for 6 months with active membership.
. Tax consultation with our specialist. Member to member lead program. Notice: We ONLY pay commissions via PayPal, so if you don't have a PayPal account, you can get one at www.PayPal.com .